Since 1989, Geoff Agg Engineering has been dealing in waste fluid draining systems, revolving round the Femco Drain Plug, and since 1992 has been leading the way with distribution in the UK. Trading under the name of Femco UK, Geoff Agg Engineering Ltd. provides quality drain plugs to many commercial fleets and individuals all over the world, having set up dealers both in the UK as well as worldwide - including countries such as Japan, Malaysia, Singapore and New Zealand. Geoff Agg Engineering Ltd.'s primary experience is in designing and manufacturing special tools for the truck and bus industry, including making specialist engine tools for Gardner and Cummins engines, brake tools and also specialist tools for the 4x4 market. Geoff Agg, the Engineering Director, has had over 40 years experience in design and engineering from jet engines with Rolls Royce to service tools with Cummins Service Products. Throughout the 25 years of the Femco Drain Plug history, Geoff Agg Engineering has been working closely with the manufacturers at Femco to continuously design and improve the product so that there is a solution possible for any situation. 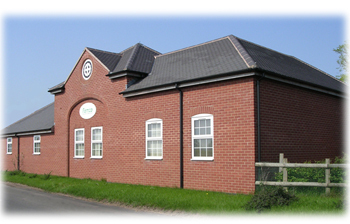 In 2006 Geoff Agg Engineering moved to purpose built premises in the countryside of Leicestershire, allowing for more space with the expansion of the business. In doing so, the move brought together the offices, work rooms and machine shop where we are able to make one-off products and prototypes easily and quickly. The extra space also allowed for an increased level of stock to be held, so reducing delivery times for our customers.